The ancient connections between China and Iran are frequently stressed to underscore the strength and longevity of the relationship. Official statements from both governments take special care to highlight this history. While this is predominantly rhetoric now, centuries ago there was a strong connection through the Silk Road’s movement of goods and cultural traditions. China’s modern relationship with Iran is anchored in the legacy of the Cold War, but it also includes a strategic element – viewing Iran as a key gateway into the Middle East. China’s current relationship with Iran began as China was beginning to move away from its revolutionary history. Even still, ties between reformist China and revolutionary Iran developed, stemming from a number of factors – including economic interests, energy security, and regional stability in the Middle East. This chapter will briefly explore China’s role in and importance to Iran, leading to an examination of China’s unofficial participation in other nations’ sanctions in 2010 – sanctions that arguably led Iran back to negotiations. Next, we will examine China’s role in the JCPOA agreement and attempt to identify any new roles or actions that China took in addressing the Iranian nuclear issue. China’s participation here is relatively understudied – but shows a key trend towards more active involvement that may impact its future interactions in issues of international security. Between the 1980s to the late-2000s, China’s actions regarding Iran gradually began to change in connection with international consensus and frustration amongst Chinese leadership stemming from a lack of progress and an apparent disregard for international concern. Throughout the 1980s and 1990s, China’s overall role in the issue was minimal – save the sale of weapons and weapons technology (Gill 2001, 267; Davis 2012, 4; Calabrese 2006, 10; Lin 2010, 2; Harold and Nader 2012, 4). Even then, much of this ceased in an effort to prioritise relations with the United States in the 1990s (Calabrese 2006, 12; Meshbahi and Homayounvash 2016, 77; Harold and Nader 2012, 8). As China’s role in the international community began to grow throughout the early to mid-2000s, it began to acknowledge the potential repercussions of the Iranian nuclear issue. During this period it viewed this as a bilateral issue between the US and Iran. It is important to note that China did delay referrals for Iran’s actions first to the IAEA, and then the UNSC in an attempt to let Iran prove its nuclear intentions were peaceful (Garver 2013, 80-81). These delays were, in effect, ‘last chances’ for Iran to comply. Yet, once deadlines were passed and unmet by Iran, China allowed for resolutions – and sanctions – to be passed while continuing to stress the need for mediation and cooperation (Katzman 2011, 29–30; Garver 2011, 75.). When circumstances aligned and brought about an environment favourable for negotiations, China’s integration with the international community, as well as with Iran’s economy were both at a high point. While it was always possible for China to strongly support Iran, China supported an increasing role in ensuring that international security be upheld. It is important, first of all, to understand China’s relationship with Iran after the weapons sales of the 1990s ended. Even though Beijing and Tehran’s political systems are somewhat at odds, the relationship has had benefits for both parties. As Iran’s role in the region became stronger, it also became ‘a significant source of vital oil supplies’ to fuel China’s economy (Swaine 2010, 1; Chen and Yang 2010, 79–81). To ensure continued economic growth, China had increasingly needed to focus on markets abroad and obtaining the necessary raw materials to fuel its economy. At the same time, the US began pressuring ‘Russia, Japan, South Korea, India, and Europe to reduce trade and investment with Iran’ (Harold and Nader 2012, 5.). So, as China enhanced its role in Iran – in both its domestic and energy markets – other players were leaving. As a result, by 2007 China had become the largest trading partner of Iran – taking the EU’s place (Dickey and Ighani 2014). China was viewed by Iran to be a key source of ‘investment and technology necessary for … economic development and modernization’ (Harold and Nader 2012, 5). Sanctions also created an environment in which Iran needed China due to the limiting effect of the sanctions on Iran’s access to the external finance and specialists needed to develop its natural gas and oil reserves. China has predominately filled this gap, not only through funding and expertise – but also through the provision of refined energy supplies (e.g. gasoline) that were banned as exports to Iran. Essentially, Iran became both a market for Chinese goods and a supplier for the Chinese energy industry (Downs and Maloney 2011, 3) This, in part, underscores China’s understanding and support for solving the nuclear issue diplomatically. If something were to cause a power shift or exacerbate regional stability, China recognizes that it will be the clear loser with higher oil prices and unpredictable supply issues. In the first half of the 2000s, diplomacy had some success in approaching the issue – first with the Tehran Declaration, and then the Paris Agreement in 2004 (Gaietta 2016, 72). Unfortunately, diplomacy took a backseat after the election of Mahmoud Ahmadinejad in 2005. Iran then began enriching uranium, resulting in the IAEA referring the issue to the UNSC by early 2006 (Zheng 2007, 19; Sterio 2016, 72). The political climate under Ahmadinejad was full of rhetoric, and while diplomatic approaches continued – Iran also continually failed to assuage the International community’s concerns. As a result, from that point until 2010, the UNSC passed six resolutions in an attempt to address the issue. Early on in its own history, the People’s Republic of China saw the development of nuclear weapons to be ‘a sovereign right’, but now seems to more fully recognise the implications of proliferation on international security and stability (Wuthnow 2011, 174). China believed – or at least was open to the possibility – that Iran’s nuclear ambitions had peaceful intentions. As a result, China stressed diplomacy yet allowed for the imposition of sanctions that did not directly target the Iranian people or harm Chinese interests. Throughout this, Iran became increasingly dependent on China – as the sanctions issued after 2010 by the US and EU pushed out most other players (Harvard Belford Center 2015, 9, 18). Even though China was not a direct party to the unilateral sanctions – particularly those imposed by the US – after their imposition, Chinese economic activity with Iran began to slow. The same year, it was said that ‘the Chinese government [had] informally instructed firms to slow down’ (Davis et al. 2012, 18). Additionally, several Chinese companies operating in Iran – including ‘CNPC [China National Petroleum Corporation], Sinopec, CNOOC [China National Offshore Oil Corporation], and Zhenrong … failed to implement their agreements … or have “gone slow”‘ in finishing current projects (Harold and Nader 2012, 12). These actions seem to have been the result of some kind of agreement with the United States. One, in particular, that would not sanction Chinese companies’ current Iranian investments as long as no new deals were made. So, while China was still active in Iran, new and unfinished projects were either delayed or postponed altogether. Additionally, highlighting this was the fact that from 2010 to 2013 Chinese purchases of Iranian oil fell year on year. Sanctions, and China’s willingness to at least partially comply, clearly had a role in bringing Iran back to the negotiating table. After roughly three years of the sanctions another key roadblock to diplomatic talks was addressed when Hassan Rouhani was elected in 2013. That same year, initial discussions between he and US President Barack Obama created the groundwork that made it possible for further talks in Geneva and Vienna – culminating in the Joint Comprehensive Plan of Action (JCPOA). After about two years of negotiating, an agreement was reached between Iran and the P5+1 on 15 July 2015. The resultant pact was an attempt to satisfy all involved parties while addressing the key issues surrounding Iran’s nuclear quest. After the agreement was approved in the UNSC through UNSCR 2231, the timeline for implementation and removal of sanctions began (UN Security Council 2015). As a good portion of the negotiations were conducted behind closed doors, portions of the final agreement are still not publicly available (Samore 2015, 1). At this point, much of China’s exact role in the negotiation remains unclear – yet it is obvious that China at the very least had a critical role in mediating differences between the US and Iran. It is also clear that a peaceful resolution of the issue and avoidance of all possible military action became a priority (Garver 2016, 1). While, as in prior stages of the issue the main actors involved have been the United States, China was clearly a key component and intermediary. In particular, China appeared to have been useful in persuading Iran about potential economic and political benefits that could be obtained, ‘securing international recog­nition for Iran’s ‘right’ to enrich uranium’, as well as mediating any other disputes (Garver 2016, 1; Ford 2015). Without at least China’s approval and minimal participation, negotiations would likely have been more difficult if not impossible. Through its ‘active’ mediation role and its part in UNSCR 2231, China also has highlighted its more active international role. This is a ‘notable precedent in [China’s] diplomatic efforts to combat nuclear proliferation and other issues of global governance’ (Nejadifar 2016, 59). The agreement that became the JCPOA was acceptable to all parties involved – even if it did not satisfy all of their initial requirements. The key component that satisfied the P5+1 was that there was a stated limit on ‘Iran’s ability to produce fissile material for nuclear weapons’ – with the allowed amount at a low enough level that Iran would not be able to successfully make a warhead (Samore 2015, 4). Iran’s main benefit – understandably – was sanction relief once the agreement was in place. The relief would be phased, first removing UNSC sanctions, and then others that had been unilaterally imposed would follow (Wuthnow 2016, 3; Salehi-Isfahani 2015; Nasralla 2017). A major component of this relief included the lifting of a US action that sanctioned all international entities that had dealings involving Iran’s Central Bank. This action took effect early on, around implementation day – freeing the Chinese companies that had previously restrained their actions in response to the sanctions (Kennedy 2016). Still, while the largest destination for Iranian oil remained China the overall economic situation improved (EIA 2015). Merely a year after the sanctions on Iran were lifted, total foreign investment in Iran had grown by 42% (Financial Tribune 2017). While China’s actions in earlier phases of the Iranian crisis were minimal, they were said to have had a constructive role throughout the JCPOA mediation procedures – potentially ‘motivated by a desire to shape [the] diplomatic outcome’ (Singh 2015). In general, China seems to have had a key role in mediation and convincing Iran of the value of the deal – while making sure that it was acceptable to all parties. When involved in the resolution of an international security issue China has long preferred a sort of mediation role, but for the JCPOA negotiations they appeared to take up a much more active approach – at least outwardly. Moving away from past precedents, China acted at various times as a mediator, a bridge between the various actors, as well as an assurer – so as to prove to Iran that the dealmakers were sincere and the agreement would be carried out. One particular example of this effort was Beijing’s numerous attempts to persuade Iran of the value of an agreement via a number of high-level diplomatic visits between June 2013 and July 2015 (Kondapalli 2016, 63). Notably, between June 2013 and October 2016, there were at least five diplomatic visits between the Iranian and Chinese heads of state. It was during these visits that China was said to have emphasised the utility of clearly addressing the concerns of the international community – as if Iran did not, a military conflict was likely. Chinese leaders, including China’s Ambassador to Iran emphasised the tangible benefits of avoiding conflict – clearly hinting at the provision of Chinese help to further develop Iran’s economy once sanctions were gone (Garver 2016, 2; Pang 2015). China was clearly trying to incentivize Iran to work towards a quick solution with the other engaged parties. After Xi Jinping became President and General Secretary in late 2012 and early 2013, respectively, China’s approach and role in these negotiations were viewed to have become much bolder. In particular, it has been noted that Xi Jinping favours a more active role – which is fitting, as Foreign Minister Wang Yi’s has also been seen to favour such an approach (Huang 2015). However, it is worth noting that Hu Jintao’s government also ‘actively lobbied Washington’ in an attempt to have the US resolve the issue directly with Iran (Scott 2015). One of the most interesting aspects of China’s role in the discussion is purely how the Chinese media described China’s role. The press, particularly Chinese sources, seems to have stressed China’s particular role during the JCPOA negotiation to have been ‘constructive’ but also ‘objective, fair and responsible’ (Hua 2015). In the past, China would have been described as a participant or their work would have been downplayed. Yet, after the announcement of the JCPOA, China’s role was actually said to have been ‘active’. Most statements highlighted the constructive role China had played – providing little detail though insisting that China’s role had been useful or even ‘pivotal’ and ‘irreplaceable’ (Mu 2015; Shichor 2016, 3). According to CCTV, China had made ‘unremitting efforts’, and played ‘a significant role’ (Huang 2015). The Iranian publication PressTV used a quote attributed to Xi Jinping that described China’s actions in the process to have been as ‘an active participant, constructor and contributor’ with a clear concentration on addressing and solving the issue (PressTV 2016). While most of the actual descriptions of Chinese action were vague and specific examples of this are sparse, most of these media reports show China prioritising the negotiations and describe China’s activities in the negotiations to have been focused on proactively mediating and promoting diplomatic resolution wherever possible to ensure that an agreement was reached. Iran’s ambassador to Beijing also offered one of the clearest overviews of China’s part in the process, as he said it ‘worked as a liaison that has successfully bridged the gaps, neutralized misunderstandings and helped alleviate concerns during the negotiations’ (Global Times 2015). China’s position in the talks, he believed, raised the confidence levels of Iranian negotiators in the process and in the resultant deal (Joobani and Helmy 2016, 384). He also noted that China had even taken the lead on a few topics – particularly offering to lead cooperative efforts to redesign the Arak heavy water reactor (Fars News Agency, 2016.). Not all sources, however, agree on China’s role. Sources outside of China, Iran, and the Chinese media, however have stated that China’s role was not as instrumental as has been claimed. These comments range from an involved party insisting that overall it was a group effort, to others stating Beijing’s presence was ‘marginal, evasive, and ambiguous’ (Almond, 2016; Shichor 2016, 3). Regardless of China’s actual role – it is important to note that the mere fact that China presented itself and wanted to be viewed as an active component itself is a remarkable change. China’s actions leading up to, during, and after the JCPOA negotiations show a clear change from their past behaviour. While China has always had an interest in a stable Middle East conducive to Chinese growth, as its investments in the region have grown, stability has become much more of a necessity. China clearly views itself as a stakeholder in the region and in international affairs more broadly and wants to be considered responsible. It increasingly became, or was viewed to have become, more actively involved in the resolution of the Iranian nuclear issue – seeking a resolution to above all avoid a military confrontation. China’s interest in a stable Middle East underscores how its interests and view of the international community have evolved. Rather than continuing to refer to the issue as bilateral as it had in the 1990s, China increasingly views the role of multilateral talks as useful in addressing complex issues. China’s implicit support of the unilateral sanctions stem from a similar base as to why it supported the UNSC sanctions – nearly universal support from other powers, Iran’s continued defiance and inability to address concerns, as well as the potential danger of an armed conflict to ensure Iran complies (Swaine 2010, 8). Moreover, China is concerned with ensuring that its external environment is stable so that there are no further challenges to its growth (Mesbahi and Homayounvash 2016, 83). Iran put this stability into question, and China counselled mediation and resolution of the situation. When mediation initially failed to address the situation, China allowed for other measures – in particular, sanctions – to help expedite a return to talks. The way China interacted throughout the JCPOA negotiations shows that China is a key stakeholder that also wants to be viewed as a responsible power. While the term ‘responsible power’ is frequently dismissed as a US ploy in private, it is undeniable that it is something that has become a part of China’s policy dialogue and official vocabulary (Global Times 2010; Global Times 2013). China’s actions with regard to Iran show that it views non-proliferation, Middle East stability, and the intersection of the two as issues it is involved in, and ignoring these issues would be, by definition, irresponsible. While many in China may disapprove of the use of ‘responsible power’, China increasingly wants to be seen as a productive member of the international community. Altogether, China’s actions with regard to the creation and implementation of the JCPOA have shown a China that is aware of and influenced by the values of the international system. Through this, China has worked to address a problem, multilaterally, with other powers within the system. China’s actions with regard to the Iranian nuclear issue has shown a clear evolution, from a ‘not-our-issue’ sort of view to actively working with the rest of the international community to come to a peaceful resolution. To get here, China needed to balance its interests – yet even that does not completely explain its shift to a more active role as mediator. If China merely required furthered economic relations and a stable region, it could have simply supported the status quo. Instead, along with the other P5+1 nations, China worked towards a new agreement while encouraging the participation of Iran. This was done with the intent of preventing potential conflict, and hopefully creating long-term regional stability. China’s trajectory has shown a clear progression from inactivity to increased involvement. Many reasons play a part in why and how this developed – China’s economic growth, the expansion of its energy requirements, as well as its growing international role. Iran’s responses to the international community of ignoring requests, breaching agreements, or the general animosity exhibited by top Iranian leadership also gave China little choice but to side with the international community. Iran was offered numerous chances to comply, but each failure made China’s choice easier. A component of China’s behaviour, of course, was conducted in tandem with the rest of the UNSC. As a result of this sort of action, China was likely to have better political and economic relations with the EU and the US. This way China also did not risk alienating itself – as there was essentially an international consensus that the issue needed to be resolved quickly, collaboratively and peacefully. The potential of military action and the resultant regional instability was a key motivating factor for China in ensuring that this issue was resolved quickly. The longer it remained unaddressed, the greater the concerns that the region would fall into deeper trouble, causing regional instability and potentially disrupting oil supplies. Throughout the process, undoubtedly there were points when the US and EU did not agree with China’s approach. They were all working towards the same end-goal, however, a stable, non-nuclear Iran. The future of the deal has numerous components that will determine its success – but the two key factors that could unravel its progress now are Iran’s adherence to the agreement and the US’s continued acknowledgement that Iran is abiding by the agreed rules. The other signatories of the deal – at least for now – do not appear to question the deal, or want anything but its ultimate success. For Iran’s part, their election in mid-2017 underscored domestic Iranian support of the agreement. By all accounts, Rouhani’s win means that a continuation of his existing policies should be expected. In general, the vote was a clear indication of the Iranian people’s approval of continued stability and engagement with the world. A win by Rouhani’s opponent, Raisi, would have been a return to the rhetoric and sentiment experienced under Ahmadinejad. During his term, Ahmadinejad’s rhetoric became trying, and stability was constantly threatened, so a similar administration would be disastrous – especially with the unpredictability of the Trump White House (Weir 2011). Rouhani’s re-election with 57% of the vote will give him further support as he continues to further Iran’s ties with the rest of the world (Cunningham 2017). While the Obama administration viewed the JCPOA as a diplomatic success, President Donald J. Trump views things differently. Stretching back to his time on the campaign trail in 2015–2016, Trump continually threatened to leave the agreement. He finally did on May 8, 2018. As a result, the US has imposed two rounds of unilateral sanctions. Firstly, in August 2018, targeting various Iranian industries. Secondly, in November 2018 targeting the Iranian oil sector. While the United States is no longer party to the deal, Europe and China are working together to ensure it is upheld. For the time being, Iran appears to be willing to work with Europe and China on this. Indeed, it is important to note that as recently as 30 August 2018, the IAEA reported that Iran was still in compliance with the agreement. On the whole, it remains unclear what the full impact of the United States’ absence and the new sanctions will be – but they certainly complicate the issue. As we have seen, China’s view with regard to its role in addressing international issues has seen a clear evolution over the past 20 years. Between the late 1990s and 2005, China viewed the Iranian nuclear issue to be external to its interests and did not or could not view Iran’s development of nuclear technology as a concern – to either itself or the international community. The key caveat here was that if Iran’s quest interfered with other relationships, or if there was something to gain from acknowledging the issues, China would recognize and react. Throughout the international attempts to address the issue, China supported Iran and pushed for the international community to give Iran the benefit of a doubt on its intentions – but only to a point. When U.N. requirements were not met or ignored by Iran, China allowed for incrementally stricter sanctions to be passed. Each time, China’s goal was to have Iran come back to the negotiating table. When it came to it – China allowed for a UN Resolution in 2010 that would allow for other nations to unilaterally sanction Iran. While China did not sanction Iran directly, for all intents and purposes it was a key component to its success in bringing Iran back to the table. Without China’s assistance these sanctions would not have had as much of an impact as they did. One key thing to note here is that through China’s implicit acceptance of other nations’ unilateral sanctions, a choice was made to work with international consensus and unofficially participate in the sanctions. This was a clear shift from past precedent and could have implications for future multilateral issues. Additionally, it was also impressive that the Chinese media viewed China’s role to be so significant – this in itself is a drastic change. This media coverage may forecast a strong continued presence for China in similar issues in the future. Regardless, with the future of the JCPOA under question as a result of the Trump administration’s withdrawal from the agreement and the resulting sanctions, China’s actions will likely continue to highlight its support for the necessity of upholding the JCPOA. 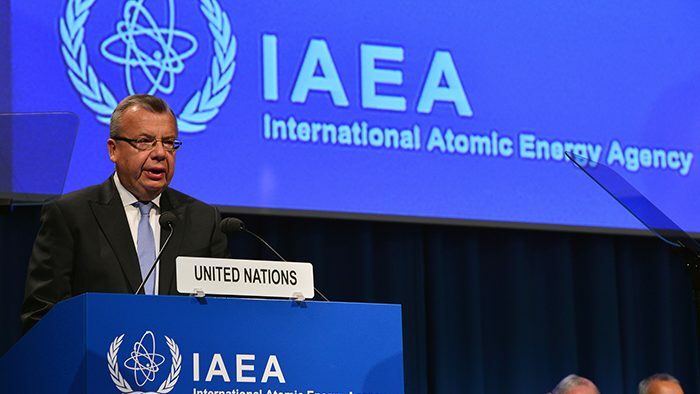 This is ‘including a side agreement among the P5+1 on future UN action in 10 years and the contents of Iran’s “enrichment and enrichment R&D plan,” which Iran will eventually submit to the …(IAEA)’. This would happen on 16 January 2016. Though it is important to note the US continues to push the envelope on this through adding more sanctions under Trump. Calabrese, John. 2006. “China and Iran: Partners Perfectly Mismatched.” Middle East Institute Manuscript. Chen Lianqing and Yang Xingli. 2010. “Discussion of the Influence the Iran Nuclear Question on Sino-Iranian Relations” Journal of Hubei University of Economics 7 (9): 79–81. Christensen, Thomas J. 2015. The China Challenge: Shaping the Choices of a Rising Power. New York: W.W. Norton and Company. Cunningham, Eric. 2017. “Iranian President Rouhani wins re-election by a landslide.” Washington Post, May 20. Davis, Marybeth et. al. 2012. China-Iran: A Limited Partnership, Prepared for the US-China Economic and Security Review Commission. Downs, Erica and Suzanne Maloney. 2011. “Getting China to Sanction Iran: The Chinese-Iranian Oil Connection.” Foreign Affairs. March/April 2011. Gaietta, Michele. 2015. The Trajectory of Iran’s Nuclear Program. New York: Palgrave Macmillian. Garver, John. 2011. “Is China Playing a Dual Game in Iran.” The Washington Quarterly 34 (1): 75–88. Garver, John. 2013. “China–Iran Relations: Cautious Friendship with America’s Nemesis.” China Report 49(1): 69–88. Garver, John W. 2016. “China and Iran: An Emerging Partnership Post-Sanctions.” Middle East Institute Policy Focus Series 2016 3: 1–8. Gill, Bates. 2001. “Two Steps Forward, One Step Back: The Dynamics of Chinese Nonproliferation and Arms Control Policy-Making in an Era of Reform.” In David M. Lampton. Ed. The Making of Chinese Foreign and Security Policy in the Era of Reform, 1978-2000. Stanford: Stanford University Press: 257–288. Harold, Scott and Alireza Nader. 2012. China and Iran: Economic, Political, and Military Relations. Rand Corporation: Santa Monica. Harvard Belford Center. 2015. Sanctions Against Iran: A Guide to Targets, Terms, and Timetables. Cambridge, MA: Belford Center for Science and International Affairs. Joobani, Hossein Aghaie and Nadia Helmy. 2016. “China’s Role in the Iran Nuclear Deal: Perspectives From Mainstream Chinese Media.” Asian Politics and Policy 8(2):382–386. Katzman, Kenneth. 2011. “Iran: US Concerns and Policy Responses.” Congressional Research Service, Report RL32048. Kondapalli, Srikanth. 2016. “China and the Iranian Nuclear Issue: Converting Challenges into Opportunities.” Contemporary Review of the Middle East 3(1): 63–76. Lin, Christina Y. 2010. “China, Iran, and North Korea: A Triangular Strategic Alliance.” MERIA Journal 14(1). Mesbahi, Mohiaddin and Mohammad Homayounvash. 2016. “China and the International Non-Proliferation Regime: The Case of Iran.” Sociology of Islam 4: 73–92. Nejadifar, Fatemeh. 2016. “An Elaboration on the Iran-China Relations in the Path towards and After Joint Comprehensive Plan of Action.” International Journal Series in Multidisciplinary Research 2(2): 57–63. Samore, Gary. 2015. The Iran Nuclear Deal: A Definitive Guide. Cambridge, MA: Report for Belford Center for Science and International Affairs. Shichor, Yitzhak. 2016. “Iran after the Sanctions: the Marginalization of China.” Note d’actualité de l’Observatoire de la Chine 2015-2016. March 2016. Sterio, Milena. 2016. “President Obama’s Legacy: The Iran Nuclear Agreement?” Case Western Reserve Journal of International Law 48(1): 69–82. Wuthnow, Joel. 2016. “Posing Problems without an Alliance: China-Iran Relations after the Nuclear Deal.” INSS Strategic Forum – National Defense University, 290: 1–12. Zheng Xuefei. 2007. The Iranian Nuclear Issue and International Security. Zhengzhou, Henan People’s Press. Daniel Johanson received his PhD from King’s College, London. His research focuses on how Chinese foreign policy has evolved and adapted to address issues of international concern, specifically on China’s interactions with Sudan, Iran, and North Korea.